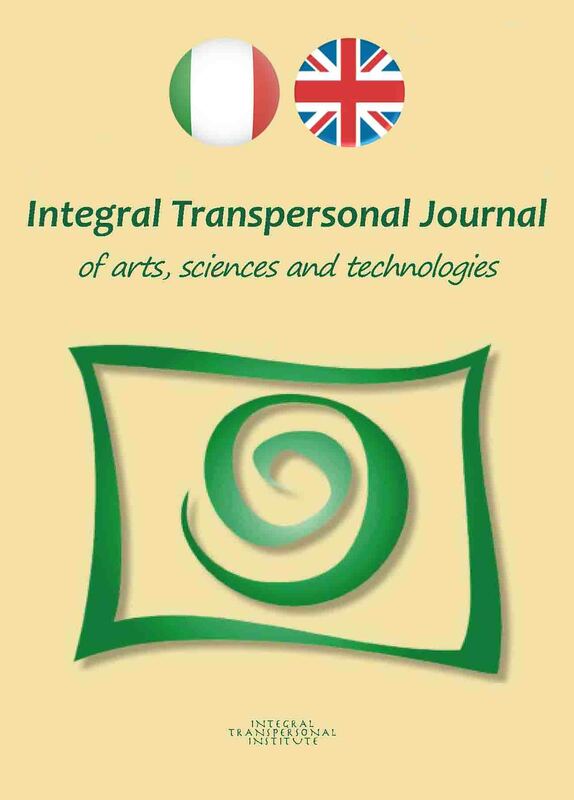 Integral Transpersonal Journal è l'organo ufficiale di EUROTAS (European Transpersonal Association). Giovanna Calabrese, Ervin Lazslo, Serge Beddington-Behrens, Amit Goswami, Romana Kress, Margaret Kerr, Marina Belokurova, Harry Colman, Georgii Tiuliaev, Mauro Ventola and Jim Garrison. Giovanna Calabrese, Pier Luigi Lattuada, Romana Kress, Steven Herrmann, Claudio Calcina, Carmela Sollecito, Bernadette Blin. 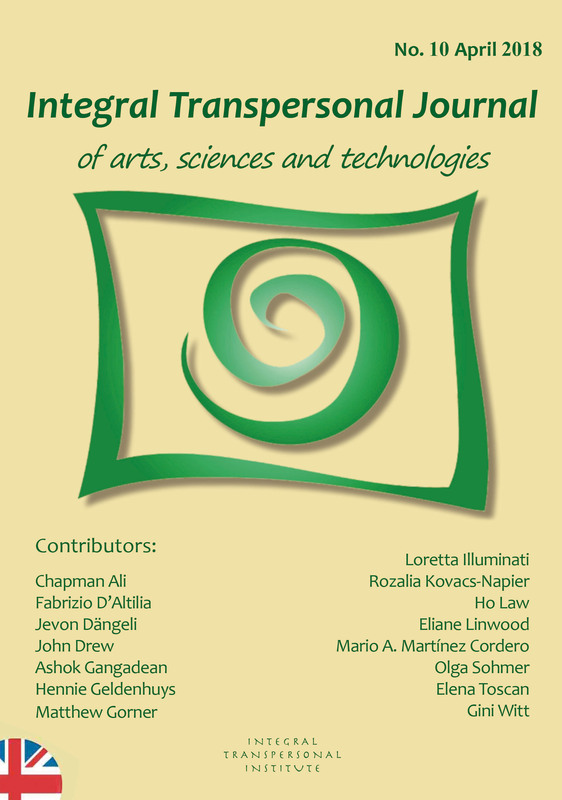 Rozalia Kovacs-Napier, Ali Chapman, Matthew Gorner, Gina Witt, Eliane Linwood, Elena Toscan, Loretta Illuminati, Fabrizio D'Altilia and other international authors. 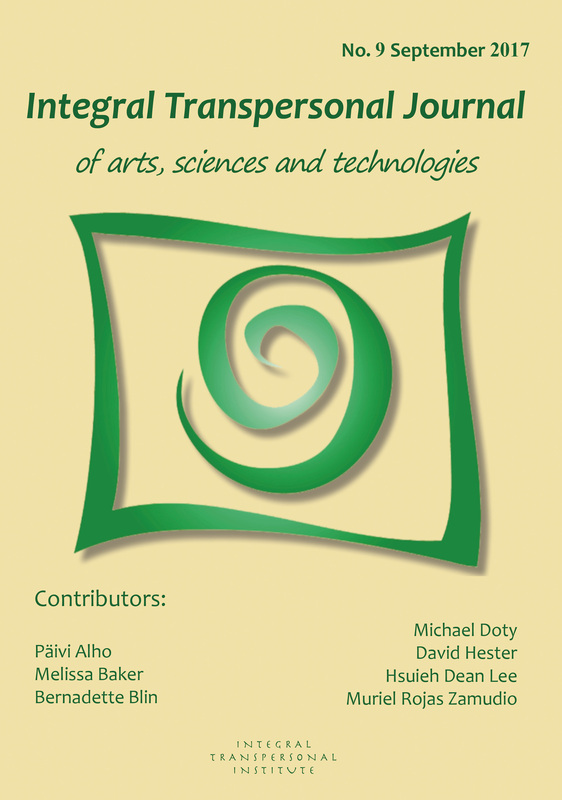 In this issue contributors are: B. Blin, P. Alho, M. Rojas Zamudio, M. Baker, D. Hester, M. Doty, H. D. Lee. The thread of this issue is not simply transpersonal psychology and psychotherapy, but how we, as professionals, can confront our self with a larger audience. In this issue contributors are: G. CALABRESE, B. BLIN, S. HERRMANN, G. PAGLIARO, L. MARCONI, D. TURNER, A. KUSKOV. 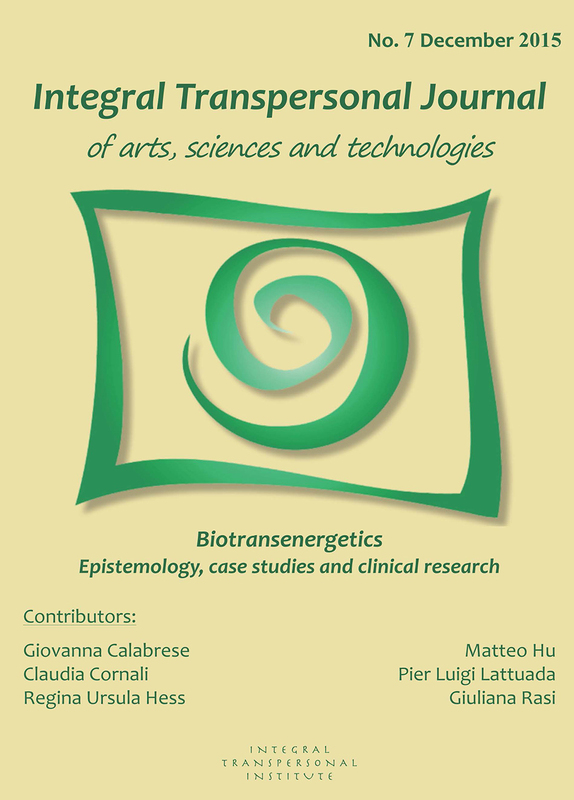 This is a special issue on BIOTRANSENERGETICS - EPISTEMOLOGY, CASE STUDIES AND CLINICAL RESEARCH. 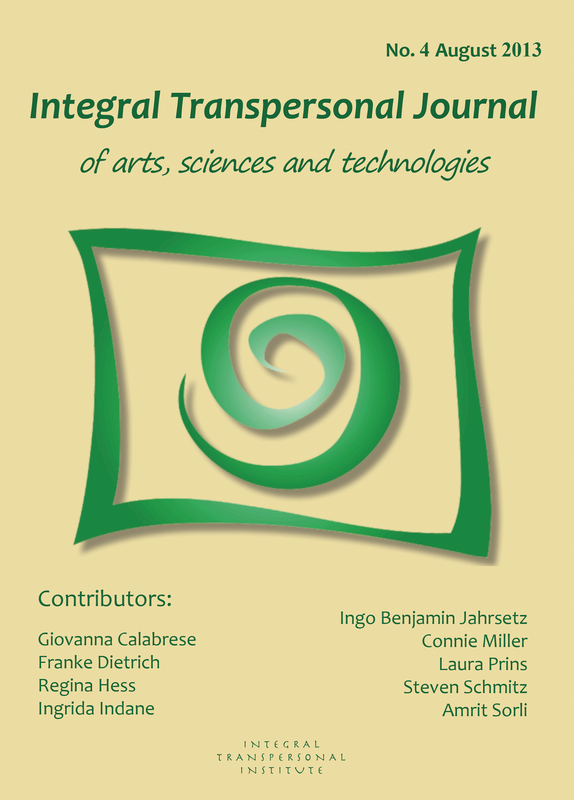 It is the first one of a series of thematic issues focused on a particular transpersonal method. 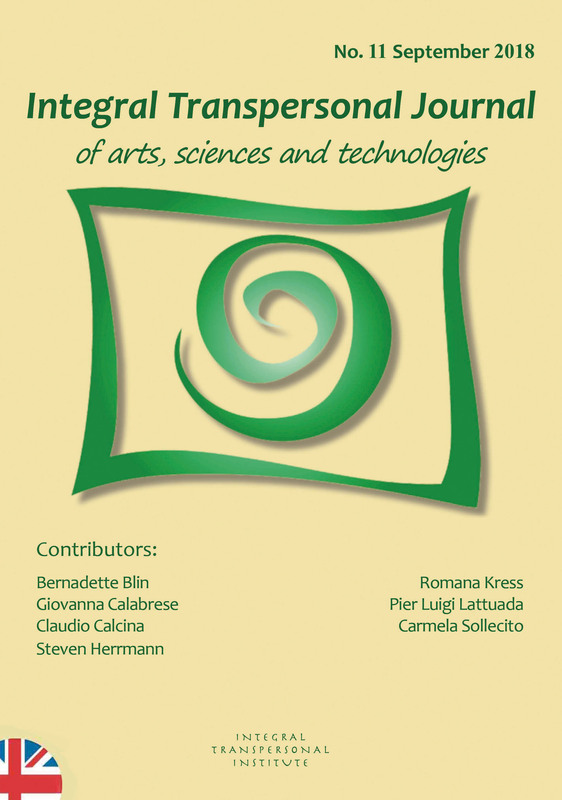 Contributors are: GIOVANNA CALABRESE, P. L. LATTUADA, REGINA U. HESS, GIULIANA RASI, MATTEO HU, CLAUDIA CORNALI. This issue n. 6 is about creativity, Self-representation and art-therapy. 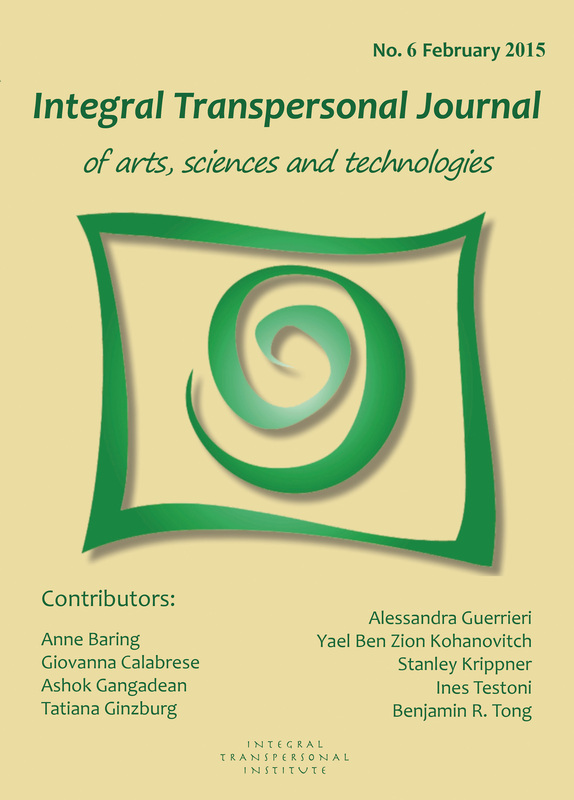 Contributors are: GIOVANNA CALABRESE, STANLEY KRIPPNER, ANNE BARING, ASHOK GANGADEAN, ALESSANDRA GUERRIERI, INES TESTONI, TATIANA GINZBURG, YAEL BEN ZION KOHANOVITCH, BENJAMIN R. TONG. 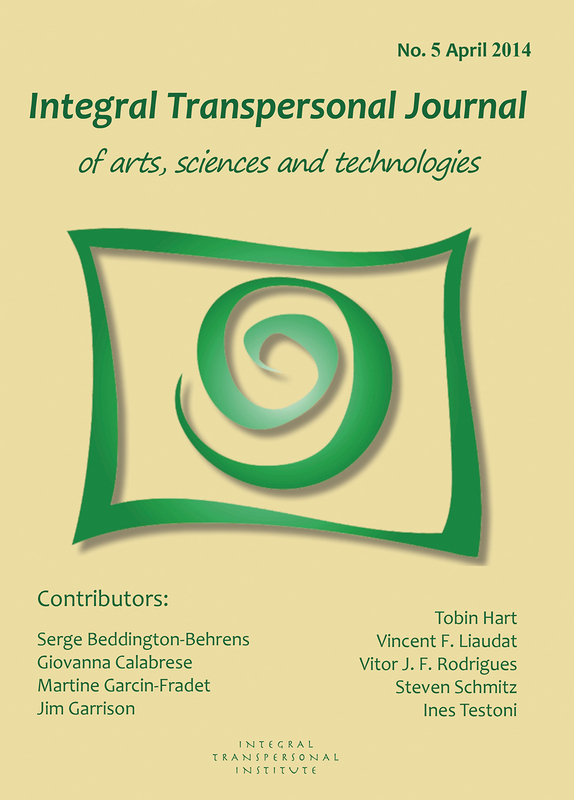 GIOVANNA CALABRESE, VITOR JOSE F. RODRIGUES, JIM GARRISON, TOBIN HART, SERGE BEDDINGTON-BEHRENS, STEVEN SCHMITZ, MARTINE GARCIN-FRADET, INES TESTONI, VINCENT F. LIAUDAT. STEVEN SCHMITZ, REGINA URSULA HESS, INGO BENJAMIN JAHRSETZ, FRANKE DIETRICH, CONNIE MILLER, LAURA PRINS, AMRIT SORLI, GIOVANNA CALABRESE, INGRIDA INDANE.